It’s 2005. I’m a junior at Brandeis University attending “Modfest,” a loud, crowded and sweaty party organized by student events. I’ve been socializing for two hours, and I want go home. It’s not that I don’t like being around people. I do. I just feel smothered. As I leave early, I walk by my roommate, who urges me to stay. I continue walking, and I fall asleep that night thinking that there’s something wrong with me. Six years later, my mood changes upon reading Susan Cain’s Quiet: The Power of Introverts in a World That Can’t Stop Talking. It’s the most helpful book I’ve ever read, and also one of the best researched. Cain has me pegged to a tee, and I feel a great sense of relief and validation. I’m an introvert, a perfectly normal person living in a world obsessed with championing extroverted characteristics: dominance, assertiveness, spontaneity and loudness. I am thrilled to speak with Cain, who says that of all the audiences she’s happy to reach, she’s most passionate about students. Cain tells me that introverted children often have an easier time identifying their interests, and that they become extremely passionate about pursuing one or two subjects. As I hear Cain talk, it’s like she’s reading my mind. With teaching, running and blogging, my introverted personality enhances my work ethic and productivity. Last month, I wrote about school culture’s unhealthy insistence upon instilling in young people leadership qualities. Before I even have a chance to ask Cain for her take, she’s already addressing the issue. Cain is quick to provide an example. I can already hear the naysayers, insisting that fostering leadership potential provides the best possible avenue for success. To that, I say hogwash—and Cain agrees. I ask Cain how teachers can better reach introverted students. It’s important to acknowledge that this involves more work, Cain tells me. Four years ago, I stopped grading students on class participation. Any type of assessment is subjective, but this feels especially so. I notice no clear correlation between how much an individual speaks, including the quality of what he or she says, and performance in all other aspects of the course. I think back to my conversations with Curtis J. Bonk, Professor of Instructional Systems Technology at Indiana University. Bonk is also author of one of my favorite books about learning, The World is Open: How Web Technology Is Revolutionizing Education. I wish that he and Cain would work on a project together. I’m eager to hear from Cain about how educators can more effectively teach and assess introverts. 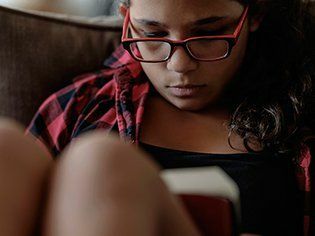 I have taught many introverts, and many fear that college admissions offices will frown upon a perceived lack of traditional extracurricular activities. Cain and I discuss whether this fear is justified. Before we part ways, I ask Cain to provide one final piece of advice for introverted students trying to succeed in high school.